Peace of mind and maximum protection in an affordable rack mounted ethernet based temperature and environment monitoring solution. Our most popular rack mount monitoring solution for computer rooms of all sizes. Optional functions allow the addition of a light tower with optional audible alerts. 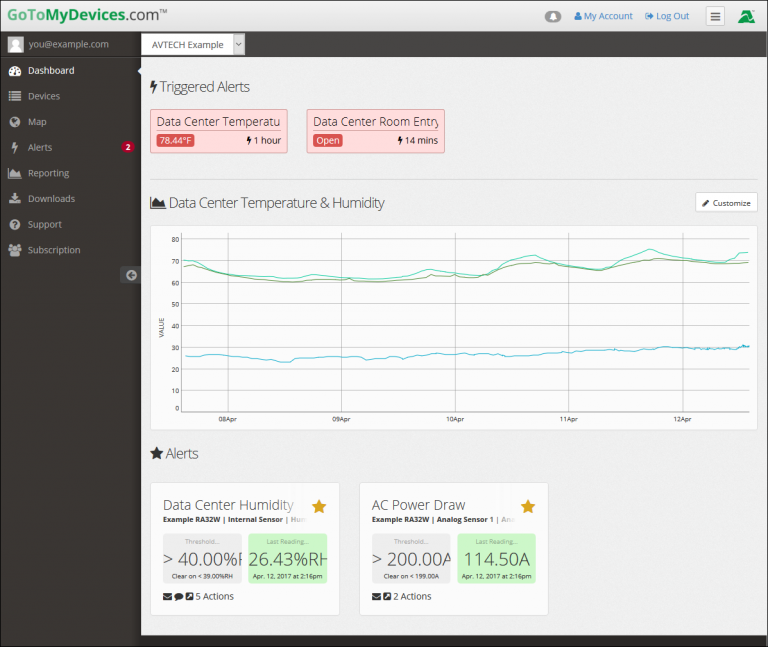 Room Alert 4ER allows users to log environment sensor status for immediate alert notification, historical review and graphing. Alerts via email, email-to-SMS, SNMP and more. Room Alert 4ER monitors wiring closets, critical rack cabinets, large computer rooms or data centers, multi building facilities and spaces of all types and sizes. Room Alert 4ER is connected via Ethernet and does not require a host PC for operation. Room Alert 4ER protects valuable equipment and business data minimizes downtime and reduces losses should a disaster occur. The AVTECH Room Alert 4ER is the monitoring base unit and has one built-in temperature sensor. You can add further external sensors in order to sense a wide variety of different environmental factors in your data center. Digital Sensors Digital sensor ports only support connecting digital sensors. 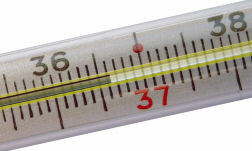 Digital sensors measure within a range of values, like a temperature range. Switch Sensors Switch sensor ports only support connecting switch sensors. Switch sensors only measure one of two states, the normal state and the alarm state. Take the smoke sensor as an example, it has a normal state which indicates no significant smoke is present and an alarm state that indicates that a significant amount of smoke is present perhaps indicating a fire. Analog Sensors Analog sensors provide values as voltages between 0-5VDC. Common analog sensors include current loops and extreme high and low temperature sensors. The Room Alert 3 WiFi and Room Alert 3E do not support analog sensors, but you can buy the Digital Temperature & Analog Sensor to add support at the cost of one of your digital sensor ports. Light Tower & Relay Ports A port for connecting a Light Tower to your Room Alert. There are two port types. The Room Alert 4E / 4ER has a six terminal port to plug in the AVTECH External Light Tower. The Room Alert 12E, 12ER, 32E and 32W all have RJ11 connectors dedicated to the light tower. But the light tower must be the model with the built-in light tower adapter. The Room Alert 3E also supports the light tower but does not have a dedicated port. You must use one of your digital sensor ports to connect the light tower. Relay Output Ports Two pin port (0.3A@125VAC / 1A@24VDC) for connecting an output relay to your Room Alert. Built-in UPS An Uninteruptable Power Supply or UPS keeps your monitoring system alive during power outages giving your monitoring system time to send alerts. A Light Tower can be connected to the Room Alert 3E, Room Alert 12E & 12ER, Room Alert 32E and 32W using a Light Tower Adapter. The Room Alert 12E, 12ER, 32E and 32W all have dedicated ports for connecting the Light Tower with Adapter. On the Room Alert 3E you need to use one of the digital sensor ports. You can buy a light tower with integrated light tower adapter for use with the Room Alert 3E, 12E, 12ER, 32E and 32W. RoomAlert.com is a cloud based service for monitoring Room Alert monitors and newer Axis cameras combined with a download area for device firmware updates and Device ManageR software and plugins. 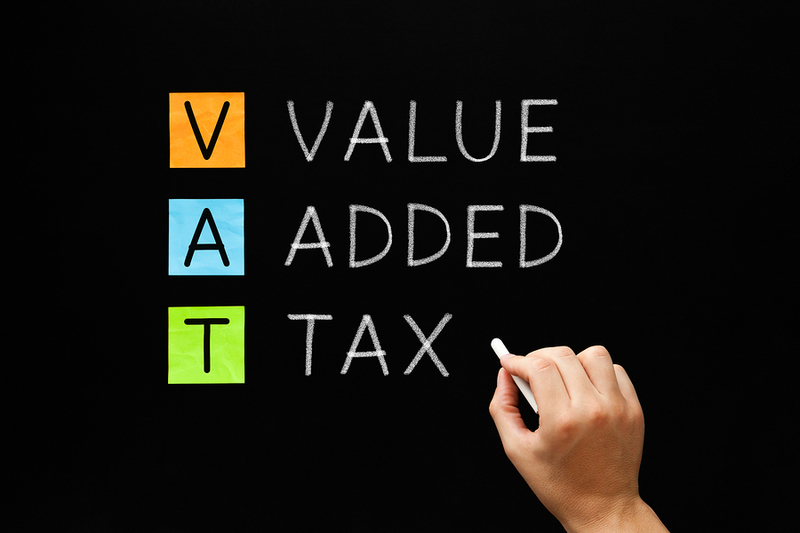 The service has a number of different subscription levels, Lite, Personal, Professional and Enterprise. The level of your subscription dictates what level of access to the RoomAlert.com service you receive. If you require a level of access afforded by a higher level of subscription, you can upgrade your subscription to the higher level at any time. Device ManageR software is a solution for discovery, management, logging, graphing and alerting of your Room Alert monitoring estate. It runs as a Windows service and automatically discovers AVTECH hardware and Axis IP cameras across your network, allowing users to be informed immediately when environmental thresholds are exceeded or when events occur. Device ManageR has a web browser interface allowing users to view and manage any or all units on your network, graph and log sensor data in real-time or over specified date ranges or send out alerts if an issue arises. The Device ManageR software also has a number of plugins available like the Window Plug-In Bundle or Unix/Linux Bundle. When used with Device ManageR, they allow shutdown, reboot and/or log off of systems remotely and perform commands or scripted actions when alerts are detected or events occur as well as scheduled reports and data management tasks. 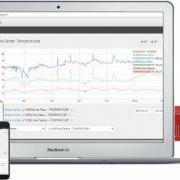 RoomAlert.com gives you worldwide visibility of your environment data, with built-in alerting, logging, reporting and management. 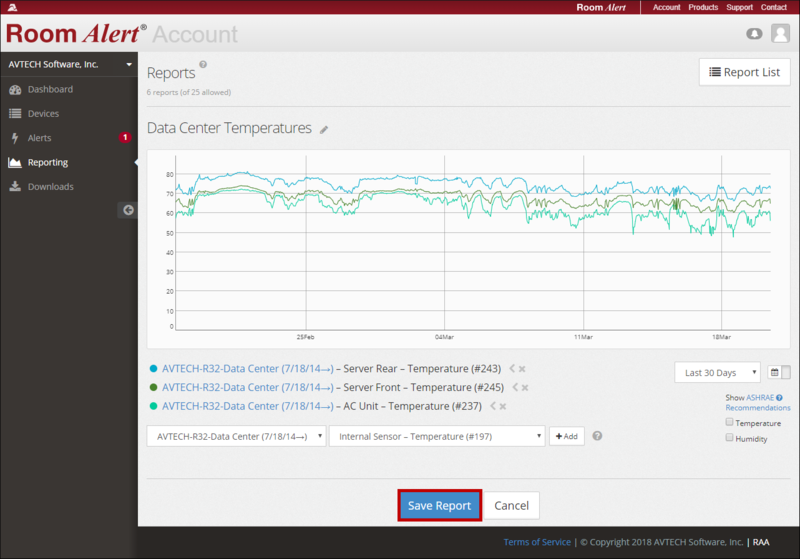 You'll no longer need to guess what your data center temperature is, you'll be able to see in real time exactly what the temperature is from any web connected device like your smart phone or tablet. All Room Alert monitors send your data readings straight up to RoomAlert,com where it is stored, logged and, if necessary, triggers an alarm for you. Each Room Alert monitor includes a 12 month Personal subscription to RoomAlert.com. You can upgrade your subscription at any time to a higher subscription level. If after your twelve months subscription you do not renew, then your subscription level reverts to the Lite level. The Lite subscription gives you limited access to the cloud service but it does not give you access to the Downloads area. Yes. The MIBs are available from the GoToMyDevices.com download area. Alternatively, you can request a copy by emailing support. Do customer need calibration for Avtech Room Alert? The Room Alert models are calibrated at the factory and require no further calibration by the customer. However the software has an Adjust feature which allows you match the readings to a given reference thermometer. Can we use the sensors of AKCP in AVTECH room alert 3 or 4E? No. 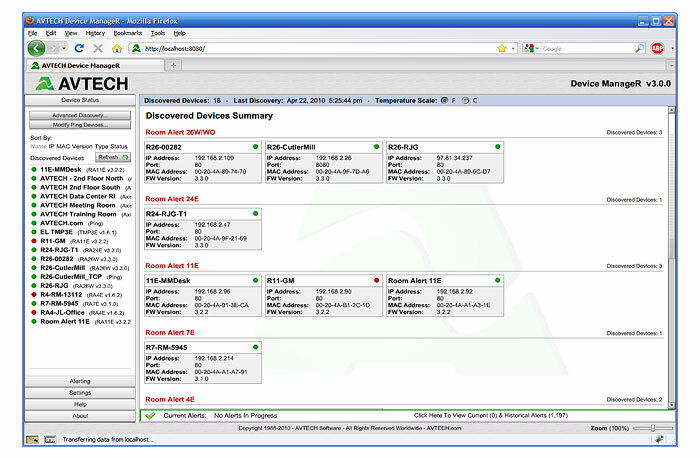 You can only use the AVTECH Software sensors with the Room Alert products. 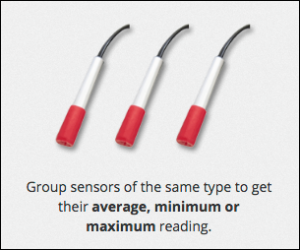 If you want to use a specific AKCP sensor, then you would need to use one of the ACKP sensorProbe models or one of the securityProbe models to attach it to. Can the Room Alert 4E send SMS alerts? Is the Room Alert 11E still available? No. The AVTECH Room Alert 11E environment monitor was discontinued a number of years ago and is no longer being manufactured. The Room Alert 11E was replaced by the Room Alert 12E. Announcing RoomAlert.com Lifetime Subscriptions RoomAlert.com has introduced AVTECH customers to the many benefits of a cloud based solution, like reduced configuration effort, seemless alerting and reduced backup burden. It has introduced one new problem: renewal anxiety. With the introduction of RoomAlert.com Lifetime Subscriptions you only need to buy a single lifetime subscription instead of having to renew every year. AVTECH announce introduction of Monitor360 technology to RoomAlert.com AVTECH are introducing their new Monitor360 technology to your RoomAlert.com account on the Professional and Enterprise tiers. New AVTECH Shielded Temperature / Humidity Sensor AVTECH Software have announced the immediate availability of a new shielded version of their combined temperature and relative humidity sensor. 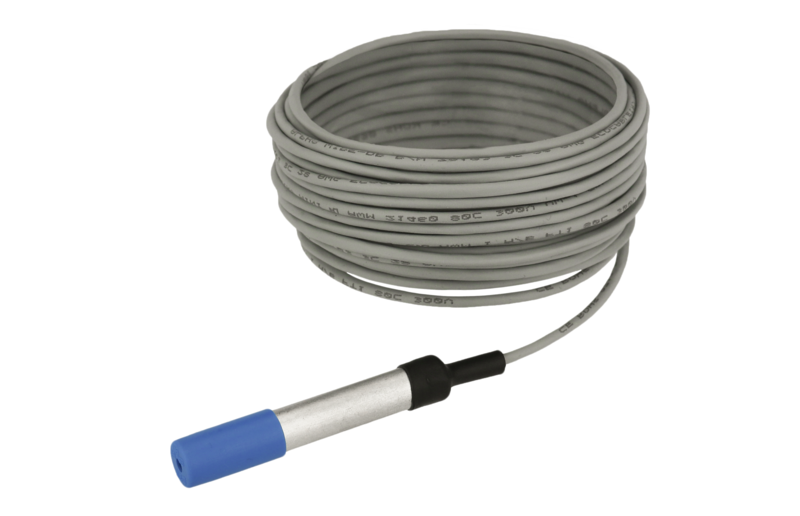 The shielded sensor is designed for use in environments with electrical noise that may hinder the operation of a sensor without shielded cabling. 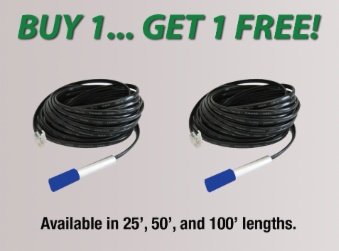 The new sensor is available in 7.5m, 15m and 30m lengths. AVTECH News March 2018 All of the recent AVTECH Software news condensed into a single handy post for March. Introducing Dew Point in Room Alert AVTECH are rolling out a new firmware update for their Room Alert range of environment monitors with the dew point calculation built-in. AVTECH Firmware Updates September 2017 New releases of AVTECH Room Alert firmware for the Room Alert 3E, the Room Alert 4E / 4ER, Room Alert 12E / 12ER and the Room Alert 32W. 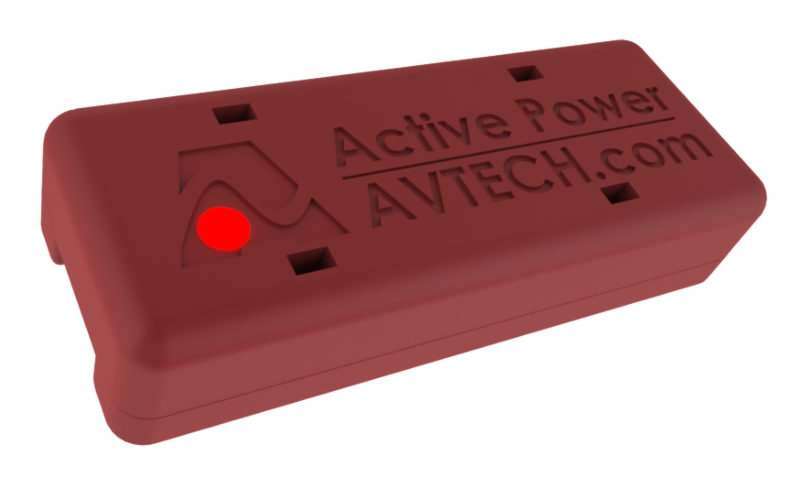 New AVTECH Software Active Power Sensor AVTECH have introduced an innovative new sensor, the Active Power Sensor designed to improve your monitoring of power to all of your devices, including air conditioning, network switches, telephone PBX etc. anything that has a power cord and runs on AC can be monitored. Room Alert Firmware Updates AVTECH have recently released a number of firmware updates for the following Room Alert models: Room Alert 3E, Room Alert 4E, 4ER, Room Alert 12E, 12ER and Room Alert 32W. Announcing New Fully Customisable GoToMyDevices Dashboard AVTECH have recently announced the immediate availability of a fully customisable GoToMyDevices.com dashboard for users of all tiers. The dashboard gives you the option to display the most important reports, maps and alerts giving you an optimal overview of your monitoring system. Announcing GoToMyDevices.com version 2.0 AVTECH Software have announced the release of a brand new version of their cloud based service for monitoring, reporting and alerting your enivronmental data.